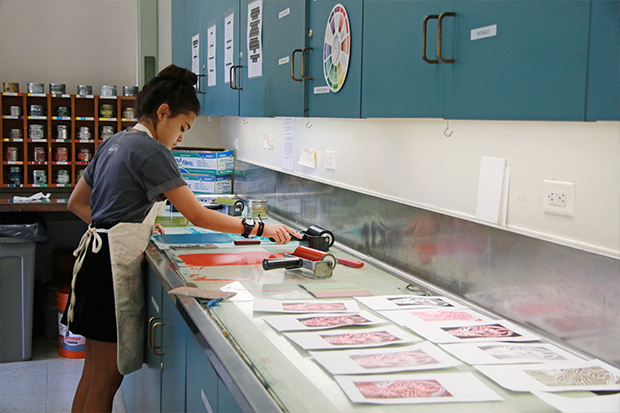 Thanks to six scholarship endowments established by people who deeply care about art and education, each year 150 young artists can attend the Honolulu Museum of Art School for free. We are looking for deserving children and teens! If you are a parent who finds art classes are out of your price range, we invite you to apply for a scholarship for your children. Scholarship applications for the fall semester will be accepted June 30 to July 21. Want to help your child tap into their creative powers? Click here to see what classes we offer (a full fall schedule will added soon), and then click here to download the application. Young artist classes begin August 26. Looking for ideas? 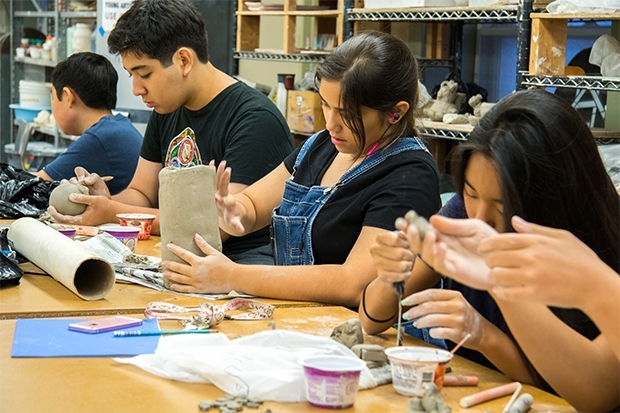 Metalsmithing is a hit with middle and high school students, and younger kids love getting their hands messy in ceramics class. Keep an eye on our class page, as we’ll be updating it with our full offering soon. Perhaps printmaking strikes your child’s fancy? The museum thanks the generosity of these scholarship funders—Phyllis G. Glick Endowed Fund, Dorothea Girton Chandler Endowed Fund, Jonathan Yen Chan Ching Scholarship Fund, The Peter G. Drewliner and Charles E. Higa Endowed Fund, Clarence & Elsa Lee Scholarship Fund, and the Jhamandas Watumull Family Endowed Fund. Art Scholarships are just one example of HoMA’s mission to make art accessible to the community, especially for our youth. It’s why we hold Bank of Hawaii Family Sunday every month, why we offer free admission to everyone 18 and younger, why we work with the Department of Education to get posters into classrooms around the island, why we give guided tours to more than 25,000 students each year, and why we have a rich, bustling outreach program that sends art teachers to schools and brings students to our Art School. And we couldn’t do it all without our supporters.